Hit the catwalk with supermodel lashes and mimic the hottest fashion queens to have ever braced the runway with Ardell Runway Lashes. At John And Ginger, we aim to despatch the order on the same day. 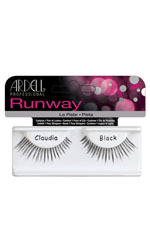 Get lashes fit for a supermodel and make each day a catwalk with Claudia. Lashes fit for a fashion show, worn by high fashion models. 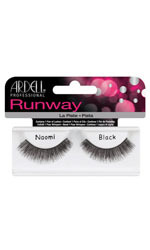 These lashes are fun, flirty and voluminous, complimenting any dramatic look. Slightly shorter than the Claudia lashes, but with incredibly more volume! 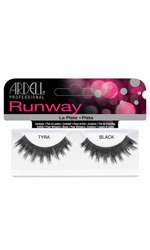 The most dramatic and voluminous lashes in the Runway Lash Collection! With a dramatically playful chunk design these Lashes are still fun, full and bold.